Summer is officially here, and you know what that means, right? Swimming pools and BBQs! 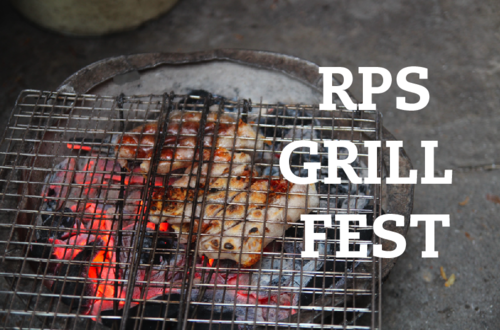 On the latter note, those talented ladies from RPS are celebrating the arrival of the heat with their first Vietnamese BBQ/grill fest/summer time awesomeness. It’s going down at Mission Dispatch, the new street food spot on 18th and Bryant. Check out all the details here, and full menu after the jump. Tuesday, June 5th, 2012 — Rice Paper Scissors is excited to relish in San Francisco’s sunshine with a daytime pop-up on Saturday, June 16th, 11am-4pm to celebrate all things licked by the open flame. They’ll be serving up their grilled goods on bún (rice vermicelli plates) with a choice of either Grilled Pork, Shrimp, or Tofu. Eaters can also get down on crispy Shrimp and Pork Imperial Rolls or Betel-Wrapped Beef, better known as Bo La Lot. Join the grill fest on Saturday, June 16th at Mission Dispatch, a street food venue at an old industrial shop in the Mission. Be sure to follow @ricepapersf or join their email list to receive updates. Sounds good, but I will up at the river doing my own bbq weekend. I am often to blogging and i really appreciate your content. The article has really peaks my interest. I am going to bookmark http://www.missionmission.org and keep checking for new information. Another good post, well done mate!